I can’t believe a whole week has gone by already, and it’s time once again for me to Share My World, part of Cee’s Share Your World feature. 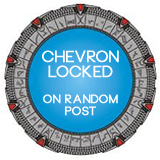 Here’s the badge, which I must remember to pop on my sidebar. Mmm, ice cream. What to choose, what to choose? I think we’ll start with cool mint choc chip. Add to that a bit of plain old creamy vanilla and add in a bit raspberry and I think we have the perfect cone. Unless the raspberry clashes with the mint choc chip, in which case it’ll be gross. I’m right-handed. Very right-handed. I can count on the fingers of one hand the things I can do with my left hand. I’m counting those things on the fingers of my right hand as my left hand is not up to the job. I rehearse to the point that I have an idea what I want to say, and I decide up-front my opening line. A bit like when I’m giving a talk – have an idea, an outline, and know how you’re going to open and the rest will flow naturally. I hate making phone calls. “Dread” might be a better word. I put them off as long as possible, so you can imagine what the past few months have been like, buying a house. Calls to the solicitor, estate agent, changing my address with a gazillion people. It’s never-ending! I actually stopped answering the land line phone ages ago. I was getting multiple junk calls a day, until I registered with the Telephone Preference Service, and then they largely stopped. My mum uses a code – a certain number of rings, hang up, then she rings again so I know it’s her. As for my mobile, I’ll answer it as soon as I fumble it out of my pocket. Sometimes I accidentally answer it while it’s in my pocket. I’m grateful that in the three days I took off from work last week I actually got a lot done, rather than just vegging out like usual. I bought and constructed some bookcases, and they are actually really good, sturdy things. Unbelievable considering they only cost £22.99 from a warehouse chain store – I’m very impressed. Here’s a picture of one I put in my bedroom. Finally “the gang” has found a new home! I even registered with the local doctor! I needed antibiotics for my eye, which I had to pay for. £7.85, if you can believe that. It’s gone up since my last prescription back in the 90s. As a new patient the nurse did a full work-up including a blood test and now they want to monitor my blood pressure. I tried to tell her that it’s been “borderline danger level” for years and coming back to have it taken again in 4 weeks isn’t going to make any difference, but she wasn’t for swaying 😦 . In the week coming up I’m looking forward to – nothing in particular. Let’s just get through it in one piece, shall we? That’s me for this week. Tune in again next week, when I will be Sharing My World once again! Great answers and wait, is that every season of “ER”?! Nice! It is every series of ER, yes! It’s been a while so I’ll probably start them again from the beginning soon. They’re threatening to give me a blood pressure monitor to track mine. I actually have one but it’s probably not “NHS approved”. I’ll probably “forget” about the follow-up appointment but I expect they’ll hassle me until I cave. In the UK it’s usually “mis-sold PPI” – very annoying. I was just about to check out your site – I was afraid I had missed the notification email for your post as I know you do Share My World too. I shall watch out for it! Nice looking bookcase!!! I really hate having my blood pressure taken. It goes high just thinking about it. My doctor know that is never concerned. I’m fortunate. Thanks for sharing, see you next week! I think doctors take into account “white coat syndrome” artificially increasing blood pressure. Unfortunately at the time I was feeling particularly calm, so no excuse there! It doesn’t look like it, judging from the answers I’ve seen! Great job on the book case! Now I can see your collection! I don’t have a landline anymore although sometimes I think about having one installed just in case of emergencies since I have a little one – although everything is digital here already and one has to pay extra for a real landline phone that won’t go out when the power is out. I hear you about the blood pressure. Minute has crept up and I need to have a check up again. Unfortunately that’s only one of four bookcases full of DVDs and Blu-rays! Several car loads, in fact. I only stopped additively buying box sets when I started to look for a house. I would be any ice cream made by Bluebell. For any others, I’ll be strawberries and cream. If they don’t have strawberries and cream, I’ll be cookies and cream. If they don’t have cream ice creams, I’m outta here! Strawberries and cream sounds good. I’ve recently taken a liking to raspberry sorbet, which isn’t doing my waistline any favours!